Doctor Who: Remembering THE ROBOTS OF DEATH | Warped Factor - Words in the Key of Geek. Tony Fyler finds a corpse marker. There’s style. And usually, way across the universe on the other end of the creative spectrum, there’s substance. Like Romeo and Juliet though, occasionally, those crazy kids come together and create something really special. In its fundamental essence, Robots of Death is simple. It’s Agatha Christie in a sci-fi setting – strangers with secrets, trapped together in an opulent environment, when people start to die. There’s no bad thing there at all, just to begin with. But there are at least a couple of additional levels. On one of them, you can watch it as a slave rebellion - the robots are an electronic underclass, brought a liberation of sorts by freedom from the rigid strictures of their programming. It is perhaps a cynical rebellion though, as they’re not free to make absolutely independent decisions, but have been re-programmed by another human, simply as weapon of destruction against their oppressors. If you really want to stretch the allusion, you can even think of it as an Adam and Eve allegory – the robots are free to act in their own world, except in ways their creators don’t want them to. Then the serpent reprogrammes their understanding of their parameters, and all Hell breaks loose – again, arguably more for the serpent’s benefit than that of the garden-dwellers. The reason the human drama works so well in Robots of Death is a combination of character backstory through dialogue from writer Chris Boucher that lets no-one off the page without some edges for the actors to work on, and a cast of actors that universally deliver and accentuate those backstory notes into people who feel real right from the word go. The reason the robot drama works so well is because of a discordant combination of simply superb design, straightforward dialogue and delivery that unnerves with its almost monotone mundanity – ‘I will kill the Doctor,’ delivered like ‘Would you like a drink, sir?’ is creepy even to this day – so much so that Russell T Davies tried to replicate it with the Heavenly Host in Voyage of the Damned. The design is exquisite – an Art Deco palace in the belly of a working sandminer, subtly hinting at a society of humans turned indolent on the back of robot effort, an impression underlined by the costume and make-up design of the humans on board – how many miners do you know who go to work in elaborate headgear and satin robes? That’s where the final level of the storytelling comes in – one that’s explicitly referenced in the story – if you build your whole society on the back of a single technology, and then someone manages to make the technology lethal, what happens to your society in the aftermath? It’s a theme that’s been re-run in New Who, based in our own world time and again since – Satanic satnavs, ‘something in the wifi’ and so on – but somehow, it’s a theme that actually works better if you dislocate it from the specifics of our reality, because then it’s able to encompass the whole of human experience – ‘the robots,’ in The Robots of Death, become an analogue for everything, from construction machinery to the internet, from smartphones to satellites. They’re the ultimate gadget – and now they kill. It’s the Rise of the Machines, played on a smaller scale. 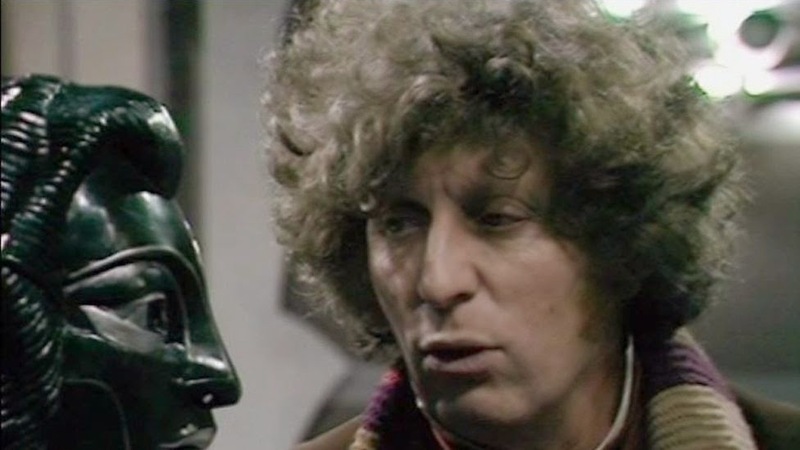 For the Fourth Doctor and his recently acquired savage friend, Leela, it’s a story that goes on around them on all its levels at once. Starting with the best Idiot’s Guide To Why The Tardis Is Bigger On The Inside so far recounted in the history of the show, it becomes a lesson for Leela in terms of the wider universe to which the Doctor is able to introduce her, but also it allows Leela’s skills to be useful within that wider universe – her hunting skills allow her to identify Poul as a ‘hunter’ – or company agent – based on his movements, and her own innate hunting skills force the Dum D84 to reveal his uniqueness to her, leading ultimately to the uncovering of the plot and its solution, through the self-sacrifice of one superior robot. 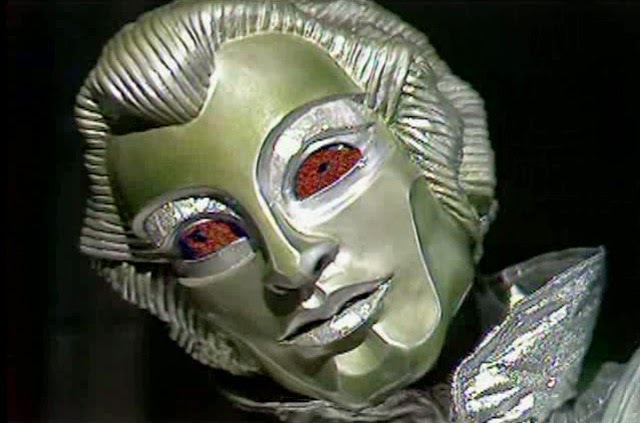 If the creepiness of Art Deco robots picking off humans in a closed environment feels too heavy, be thankful to Chris Boucher – and apparently to those including Tom Baker who took issue with Chris Boucher – for leavening the script with some of the funniest lines in Classic Who. Where else would you find a line like ‘Please do not throw hands at me’? Where, until Colin Baker’s ‘You gave me your word, you microcephalic apostate’ in Timelash, would you find a line more guaranteed to get you beaten up on playgrounds around the country than ‘You know, you’re a classic example of the inverse ratio between the size of the mouth and the size of the brain,’ delivered here with that classic Tom Baker smile full of teeth? Overall, Robots of Death makes a good, metallic, grasping fist of delivering the ‘best Doctor Who ever.’ Yes, there’s little in the way of touchy-feely emotional depth or layering, but once you put it in your DVD player, that’s two hours gone, in the way that the best popular movies can drain a large popcorn from your hands without you ever being consciously aware of eating it. Robots of course makes no secret of what the baddie is – it’s right there in the title – the Robotsdunit – and even if it had, the first murder is shown in relatively explicit detail, leaving you only pondering whoreprogrammedit, and why. But between the start of episode 1 and the resolution of that question, there’s plenty of meat along the way, with characters accusing each other, uncovering secrets from each other’s past, getting the wrong end of the corpse marker, having robophobic nervous breakdowns and essentially showing in miniature exactly the kind of paranoid anarchy that would engulf the whole society if the Robots of Death ever get off the sandminer. It’s powerhouse Who as social allegory, character study and crime thriller, all at once. 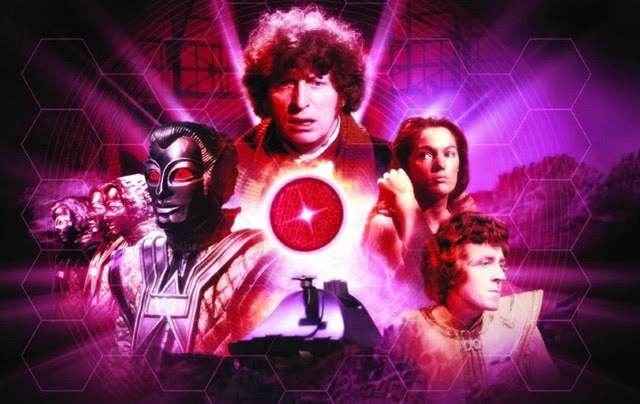 Of course, like many of Who’s finest on screen stories, Robots of Death has now had a sequel on Big Finish audio. Without spoiling the story for you, it doesn’t eclipse the original – at best, it stands as a logical robotic companion piece. Some things are so iconic and so well delivered, they can’t be beaten, even decades on. If Death in Heaven proved anything, it was that iconic scenes of Cybermen marching down the steps of St Pauls in early-morning black and white can’t really be eclipsed or equaled by scads of their modern counterparts doing the same thing in colour. Similarly, Robots of Death is that most amazing thing – a piece of superb, elegant Who that traps your eyeballs in the very first minutes, and refuses to let them go until the final credits roll. Go, lose two hours of your lifetime today – slip Robots of Death into your DVD player and enrich your life immeasurably with the ultimate Whovian mixture of style and substance, a creepy, funny, beautiful, scary work of Art Deco pleasure. Your brain will thank you for it.